Nestled on the hillside of Kaanapali, these spacious two and three bedroom Maui condos offer panoramic views from the islands of Lanai to Molokai. Mere minutes from breathtaking beaches such as “Airport” and “KP,” this Maui Vacation Rental is also conveniently located near the award-winning restaurants and shops of the Whaler’s Village. 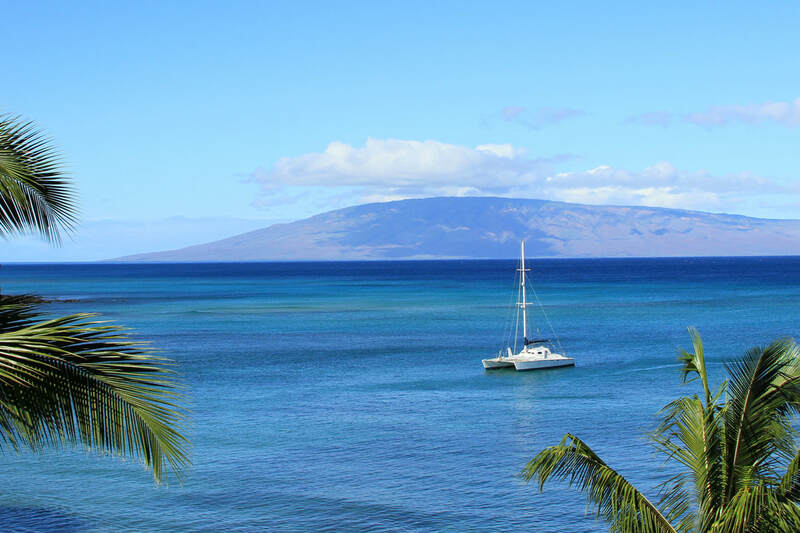 In addition, the charms of Old Lahaina Town and the world-class surfing and snorkeling of Honolua Bay are only a few miles away. Bordering the premiere North Kaanapali Golf Course, these Kaanapali vacation condo rentals also feature a heated pool, tennis courts, shuffle board and cabanas amongst ten acres of sprawling, tropical garden landscape. ​**Please note this property consists of mostly full time residents and they appreciate that it be kept a very quiet & tranquil community and party groups are not appreciated. New to Program! Professional Interior Photos coming soon! Ocean views in a tropical garden setting from Ka'anapali's North Course across the street from North Ka'anapali Beach. 2 bedrooms, 2 bathrooms, both bedrooms feature comfy king size beds. Perfect for 2 couples or a family of 4. This ground floor condo has a few steps down into entrance. Both bathrooms feature double vanity sinks and tiled walk-in showers. Resort features: Tennis courts, pool and shuffleboard. Just a short drive or walk to the famous Airport Beach on Ka'anapali Beach. Ocean views in a tropical garden setting from Ka'anapali's North Course across the street from North Ka'anapali Beach. This second floor remodeled condo is located on the corner of the building serves as a spectacular get-a-way for up to two couples or a small family of four. The master bedroom suite has its own bathroom which includes a jetted soaking tub and a marble walk in shower. In the guest bedroom you will find the bathroom has a tile walk-in shower only. A plasma TV in the living room, flat screen in the master bedroom and small TV in the 2nd bedroom. Stairs only to entrance. Telephone calls are FREE to all 50 states.